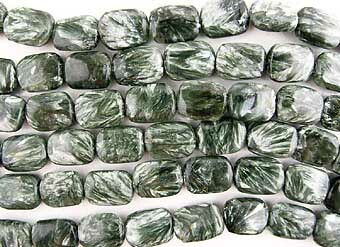 Strands measure approximately 15-3/4" long, with approximately 29 - 14mm round beads. 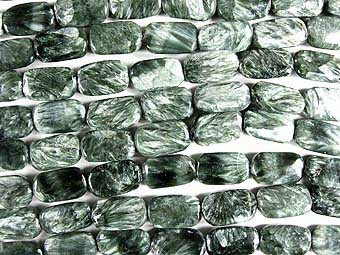 "Barrel" seraphinite beads measure approximately 10mm in length x 8mm thick. A strand is approximately 16" long with approximately 43 beads. Strands measure approximately 15-1/2" long, with approximately 22 - 14 x 18mm oval beads. 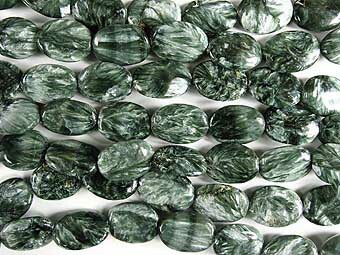 Strands measure are approximately 16" long, with approximately 69 - 12 x 5.6mm beads. 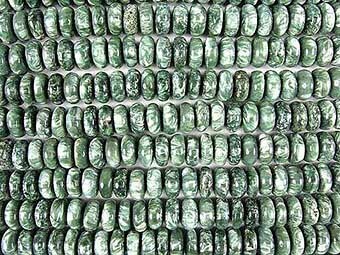 Strands measure approximately 16" long, with approximately 28 - 11 x 14mm cushion beads. 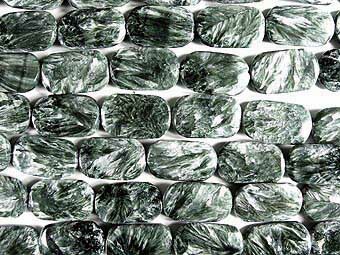 Strands measure approximately 16" long, with approximately 21 - 12 x 20mm cushion beads. 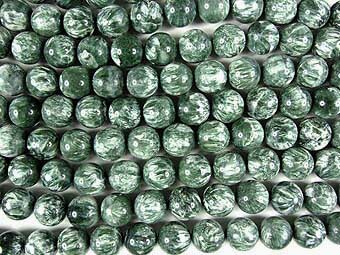 Strands measure approximately 15-1/2" long, with approximately 16 - 15 x 25mm cushion beads.